A01 House is a clean strain that allows your beers malt and hops to shine. Extremely versatile and flocculent enough to quickly drop out of your beer. House A01 is best suited for an American IPA but works nicely for English style ales as well. 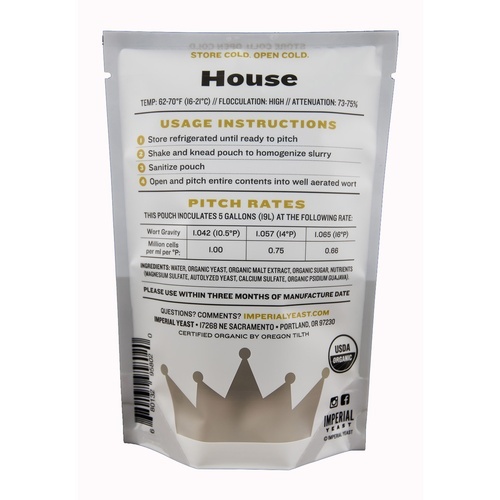 At cold temperatures house is clean with increased esters as fermentation temperatures rise. More yeast cells per pack and your price is cheaper than my local homebrew store. have heard great things about this yeast brand, and it is close in price to yeast that i would have to create a starter for. the value of that is obvious. 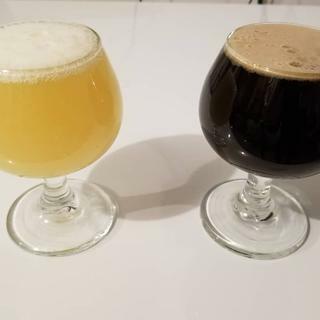 I make starters for all my beers. Within 12 hours of pitching A01, my bubbler is active. I’ve used this yeast on a stout and an IPA. I was pleased with how well my batches turned out. Its a go to house yeast for me . Every strain from them is never a let down ! 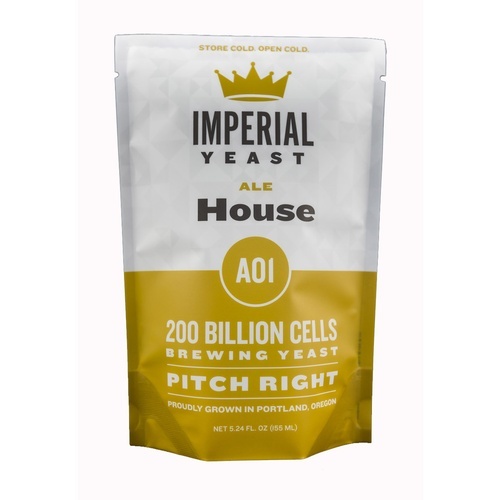 Has become my go to yeast, everything from Imperial has proven to be healthy and produces clean finished beer. Ordered two cans of this. The first didn't show any activity in 1.045 wort after 48 hours and eventually I pitched some dry yeast in order to compensate. The second can popped loudly upon opening. No biggie, I thought, must've been rustled during transit or something; however, I noticed a lot of CO2 activity in the can and a vinegar-like smell. I had a slight taste of the yeast and it was quite sour - dumped it down the drain. Two stars because I am having good results with their Rustic strain. The name is apropo, as this is a great "House" strain. Quick, steady ferment. Great drop out.. Excellent flavor. I love it in my IPA's.